Our gutter cleaning services can save you time and prevent injury. We have several employees who specialize in rain gutter cleaning, they may be able to see potential and current issues you do not recognize. This may save you hours of headache and money in the future. Downspouts and drainage into your foundation are prime areas for issues to develop. By hiring our rain gutter cleaning services, you can rest assured that every aspect of your household gutter system will be thoroughly checked and cleaned. When your gutters drain efficiently without blockage, they will last longer and perform better. This will to help protect your house and roof from expensive repairs in the future. We also sell and install gutter protection inserts to give our customers the option to avoid any gutter cleanings in the future. How can we serve you? During the cleaning process we often find small issues that if not remedied can cause larger problems in the future. 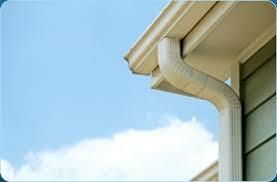 We often come across leaky seams, missing roof hangers, or loose downspouts. These are minor and inexpensive repairs we are prepared for at your scheduled cleaning service. If we notice more serious issues or believe complete replacement gutter is required we will refer you to a siding and gutter sales and installation company you can trust. 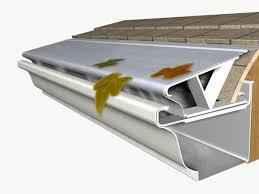 We have been selling and installing several different gutter protection products for years. Three basic designs for gutter protection are available with over 100 individual choices. We install the cover design and insert design rather than the screen design products. There are some look-alikes and temporary gutter protection options on the market but we believe that the 2 specific products we sell and install provide the best quality and overall value in their design class. The “Leaf Slugger” cover design gutter protection will work in virtually every application here in Utah and is an amazing product that has been working for homeowners about as long as we have been in business. The GutterStuffPro FR is an insert design that works in many situations and is a great long lasting lower cost option which works great where it can be installed to function as designed. We stand behind the products we sell and install for 20 years so you can be comfortable investing in something that will last. Why is Leaf Slugger the best long-term gutter protection system? Can handle hurricane force winds.